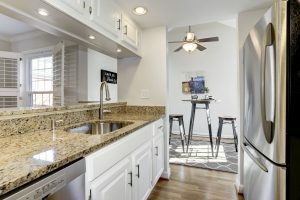 For the last 15 years granite has been hot in Arlington, VA… We bragged a lot about granite counters to potential buyers. NO MORE. Unless your designer picked a spacial color/style granite for you – please skip the granite isle. And go visit the Quartz or Silestone isle. 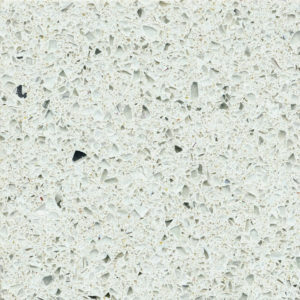 Yes – Quartz or Silestone (man made stone) is IN. It’s not new, but it’s the counter you should pick. 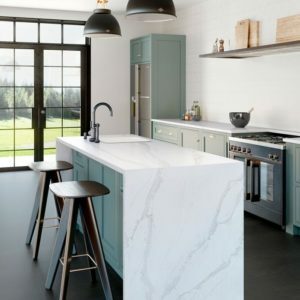 The trend is to have lighter countertops and granite is usually dark or with a lot of color. And that does not go with the gray modern look that is currently so popular. 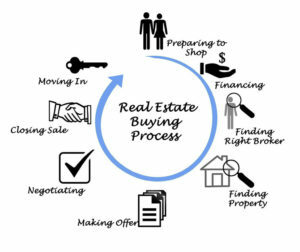 A part of home buying and selling process is a final walkthrough performed by the buyer – to make sure the property is in about the same condition as the day of contract. Ideally it gets done a couple of days before settlement – if the home is vacant. A lot of times sellers move out a day before settlement – so the buyer has to do it the day of settlement. Everyone HATES surprises on the day of settlement. Everyone LOVES a smooth settlement. So how can we reduce surprises? Taking care of wall damage from hanging things can help. Should that be fixed? I’ve ran into this issue a couple of times this year and wanted to address it. 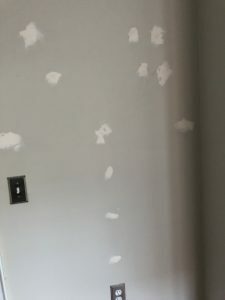 It’s a very gray area – as functionally nothing is wrong, but depending on the damage it can require a painter and $$$. So it’s a battle of opinions and the more stubborn party will probably win. It’s really not that complicated though, if sellers put buyers in their shoes and ask – “If I was doing a final walkthrough and saw THIS – would I be OK with that? Would that make me happy?” Normal nail holes will probably be Ok, but unfinished patch work probably won’t be. Not that complicated. The removal of a TV mount is more complicated. Nowhere in the contract does it say that you need to fix the wall damage. But I think you should. I believe in Karma. Probably not a very logical reason to do it, but if everyone is happy and have good feelings at settlement – that’s priceless. A pleasant memory to last for years. So let’s play nice! 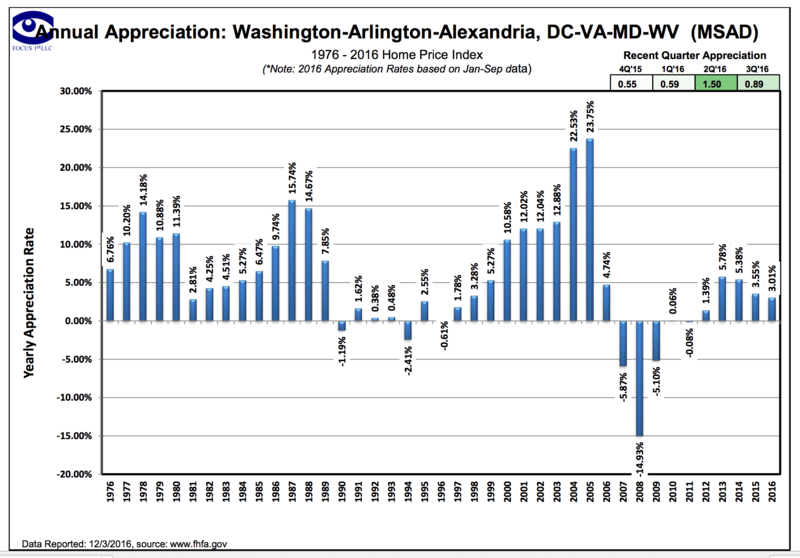 Of course – if you have any questions in regards to your final walkthrough or anything Arlington, VA real estate related – please contact me! 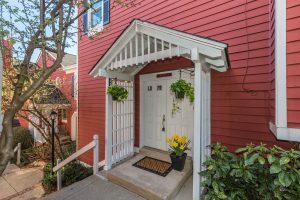 This Shirlington Townhome is a gem. Won’t last. 2817 A S Woodrow St. Arlington, VA 22206. 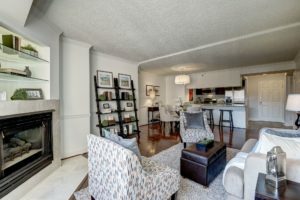 You have an amazing opportunity to own a rarely available end unit 3 level townhome in the beautiful Courtbridge II! The largest model with 1,716 square feet – huge and light-filled. You must see. It is absolutely turn-key, completely renovated top to bottom, inside and out. Just move-in. Right Now. 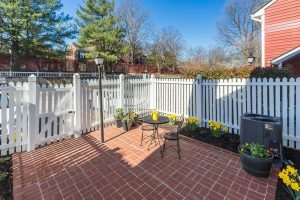 And there is more – it has a large fenced, landscaped brick patio (beautiful outdoor space! ), finished attic for storage and parking for 2. Keep reading. I mean you will not have to do a thing – the whole house has just been painted with new designer paint, gleaming hardwoods on the top 2 levels, brand new carpet on the lower level, updated windows, doors and finishes, all the way to the fine details of faucets, light and bath fixtures, light switches, outlets, programmable digital thermostat, 4 inch baseboards on all 3 levels, plantation shutters, and an impressive 26 recessed lights. Brand new HVAC system with 10-year warranty transferable to the new owner. You are getting a new house on the inside! Every last detail has been considered in this stunning home! There is more! The open layout. It is spacious, airy. The modern kitchen is open to everything – a beautiful living room that features a wood burning fireplace with a custom marble surround and artisan wood mantel, a separate dining room and a den with cathedral ceilings. And yes – it features granite, stainless steel appliances, under cabinet lighting and an enormous pantry that will fit everything. Did I mention this level is wired for 5.1 surround sound and features beautiful crown molding? Let’s go upstairs. You guessed it – more goodness. 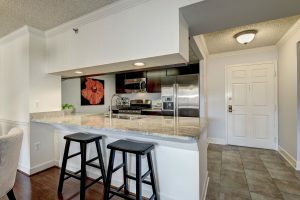 Completely renovated, absolutely gorgeous, to die for bath with a jetted, heated tub, designer tile, exotic granite, oil rubbed bronze fixtures and radiant heated tile floors. The large master bedroom has a professional, built-in closet organizer system, crown molding and a ton of light. Lower level is just as impressive. It has a completely remodeled bathroom with enlarged shower, full size washer/dryer, a huge storage closet and 2 large rooms. Use them as you wish – for office, family room, guest bedroom – plenty of space for it all. The ceiling is tall and it does not feel like a lower level. Let’s go outside through the large French doors to the beautiful, landscaped brick patio. This patio is just divine – spacious, sunny and lush. You can plant anything there – flowers, vegetables, herbs. Or you can just relax and enjoy the sun, have a cook-out. It is fenced and private – perfect to keep kids and pets inside and strangers outside. There is also parking for 2 cars right outside your door – easy, convenient. Yes, there is more. 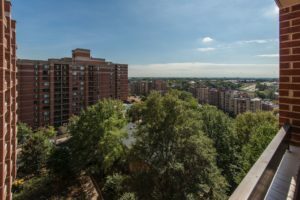 All of this in the heart of thriving, perfectly walkable Shirlington! 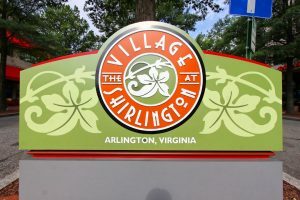 You can easily walk to all that Shirlington has to offer – Harris Teeter grocery and pharmacy, Signature Theatre and the newly remodeled, reclining seating AMC Movie Theater, the wonderful library, countless fabulous restaurants, and the Fairlington Farmers Market – a beautiful walk with plenty of sidewalks and park-like landscaping. Have a puppy? The best Arlington dog park is right here at Four Mile Run Park. 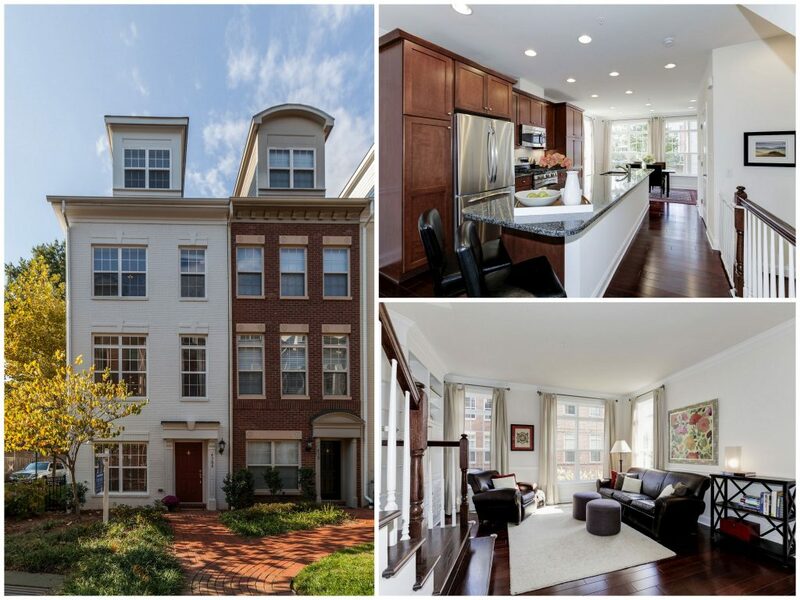 This unbelievable townhouse is also literally next door, just footsteps away to Abingdon Elementary School (no driving – no parking – walk!). Abingdon’s Project GIFT (Guiding Instruction through Fine Arts and Technology) increases student achievement and community engagement by integrating fine arts and technology into the core curriculum. Abingdon partners with the John F. Kennedy Center’s CETA Program (Changing Education Through the Arts). Wow! Even better – Abingdon is undergoing a major renovation right now and will become even more amazing! Prefer Spanish immersion education? Everyone loves Claremont Elementary! You will not get this much beautiful, totally turn-key space for this price anywhere. I’m serious! “One of the most meaningful activities we are ever engaged in is the creation of a home. Over a number of years, typically with a lot of thought and considerable dedication, we assemble furniture, crockery, pictures, rugs, cushions, vases, sideboards, taps, door handles and so on into a distinctive constellation we anoint with the word home. As we create our rooms, we engage passionately with culture in a way we seldom do in the supposedly higher realms of museums or galleries. We reflect profoundly on the atmosphere of a picture, we ponder the relationship between colours on a wall, we notice how consequential the angle of the back of a sofa can be and ask carefully what books truly deserve our ongoing attention. Our homes will not necessarily be the most attractive or sumptuous environments we could spend time in. There are always hotels or public spaces that would be a good deal more impressive. But after we have been travelling a long while, after too many nights in hotel rooms or on the beds of friends, we typically feel a powerful ache to return to our own furnishings, an ache that has little to do with material comfort per se. We need to get home to remember who we are. Our homes have a memorialising function, and what they are helping us to remember is, strangely enough, ourselves. We can see this need to anchor identity in matter in the history of religion. Humans have from the earliest days expended enormous care and creativity on building homes for their gods. They haven’t felt that their gods could live just anywhere, out in the wild or (as it were) in hotels, they have believed that they needed special places, temple-homes, where their specific characters could be stabilised through art and architecture. For the Ancient Greeks, Athena was the goddess of wisdom, rationality and harmony and in 420 BC, they completed a home for her on the slopes of the Acropolis. It wasn’t a large home – about the size of an average American kitchen – but it was an exceptionally apt and beautiful one. The temple felt dignified but approachable. It was rigorously balanced and logical, serene and poised. It was its inhabitant artfully sculpted in limestone. The Greeks took such care over Athena’s temple-home because they understood the human mind. They knew that, without architecture, we struggle to remember what we care about – and more broadly who we are. To be told in words that Athena represented grace and balance wasn’t going to be enough on its own. There needed to be a house to bring the idea forcefully and continuously to consciousness. Without there being anything grandiose or supernatural in idea, our homes are also temples; they are temples to us. We’re not expecting to be worshipped; but we are trying to make a place that – like a temple – adequately embodies our spiritual values and merits. Creating a home is frequently such a demanding process because it requires us to find our way to objects that can correctly convey our identities. We may have to go to enormous efforts to track down what we deem to be the ‘right’ objects for particular functions, rejecting hundreds of alternatives that would – in a material sense – have been perfectly serviceable, in the name of those we believe can simultaneously faithfully communicate the right messages about who we are. We get fussy because objects are, in their own ways, all hugely eloquent. Two chairs that perform much the same physical role can articulate entirely different visions of life. One chair by the Swiss 20th-century architect Le Corbusier will speak of efficiency, an excitement about the future, an international spirit, an impatience around nostalgia and a devotion to reason. The other, by the English 19th-century designer William Morris, will speak of the superiority of the pre-industrial world, the beauty of tradition, the appeal of patience and the pull of the local. We may not play out such precise scripts in our heads when we lay eyes on the chairs; but just below the threshold of consciousness, we are liable to be highly responsive to the messages that such objects steadily and perpetually beam out to the world. An object feels ‘right’ when it speaks attractively about qualities that we are drawn to, but don’t quite possess strong enough doses of in our day-to-day lives. The desirable object gives us a more secure hold on values that are present, yet fragile in ourselves; it endorses and encourages important themes in us. The smallest things in our homes whisper to us, they offer us encouragement, reminders, consoling thoughts, warnings or correctives, as we go about making breakfast or do the accounts in the evening. Because we all want and need to hear such different things, we will all be pulled towards very different kinds of objects. There is a deeply subjective side to the feeling of beauty. However, our conflicts about taste are not arbitrary or random, they are grounded in the fact that the kinds of messages we benefit from being exposed to will vary depending upon what is tentative and under threat in our own lives. Hope you enjoyed it as much as I did. I received a call from a past client today – let’s call him Jack. “Jack, have you ever thought about Shirlington? 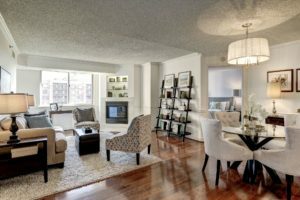 Tons of fun, minutes to DC, reasonably priced good size condos, walk to the running trail”. I don’t know where Jack is going to end up – maybe Shirlington, maybe Falls Church – we will explore all options, talk more, dig deeper. But just like that – I introduced him to an opportunity he is excited about. If you know of someone who is confused by all the options, who might not know about available options, who needs some guidance in this very important process – I would love to help. I might not be the right Realtor, but I can listen, I can help someone clarify their needs and preferences, I can point them in the right direction at no cost. Just happy to help. 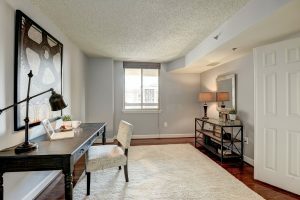 What do I love about my new listing at 430 A N Thomas St. Arlington, VA 22203? It’s an end unit with lots of additional windows. Also – it faces West – which means tons of sunshine and light. 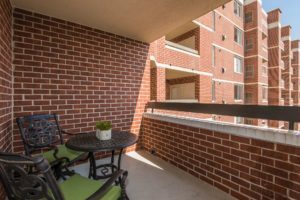 Roof deck backs to common area – NOT other townhomes – that’s a rare feature in this community! It’s located at the end of a very quiet private courtyard – serenity – you are going to LOVE it. The floorplan couldn’t be more open – I mean – it’s all OPEN – no walls on the living level. 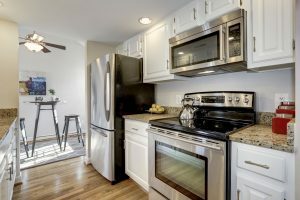 Luxury upgrades galore – I mean rich gleaming hardwoods on living and bedroom levels, huge granite island, beautiful cabinets with additional organizers, built-in bookshelves. Gorgeous! Clean as a whistle – just move in. 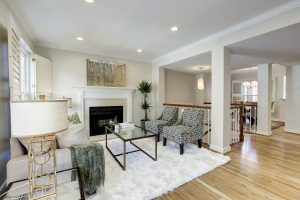 3 Bedrooms, 3.5 Baths, $835,000, 2 car tandem garage, 10-15min walk to Ballston, Metro, restaurants, Built in 2011 – almost new. OPEN HOUSE Saturday and Sunday 1-4. Come visit! I will be there on Sunday October 23, 2016. Super charming, bright and comfortable, this 2 bedroom 1 bath Ranch-style home in a Brandon Village subdivision is meticulously-maintained, move-in ready and waiting for you! 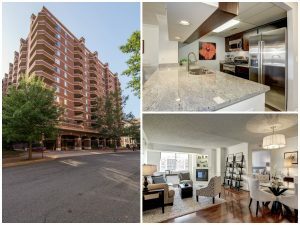 The supreme Arlington location is close to it all – shops, restaurants, and the Ballston Metro station just a 15-minute walk (less than a mile) away! The large, flat fenced-in yard graced by tall, mature trees and landscaping provides a great setting for al fresco dining, playtime for kids and pets, casual gatherings, or just reading and lounging in peace. The entire residence has been freshly painted, and a private paver-stone driveway with ample parking welcomes you home. Inside you’ll enjoy an open, airy light-filled layout that seamlessly accommodates family living and entertaining. Hardwood parquet floors add a touch of elegance, and oversized windows invite in abundant natural light. 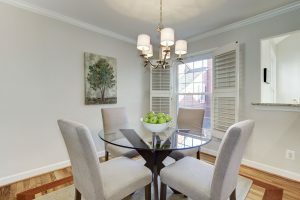 The combined living-dining space with a cozy brick fireplace is served by a spacious kitchen with granite countertops that any chef will love. A truly picture-perfect place to live with access to highly-rated schools like Ashlawn Elementary, Swanson Middle and Washington Lee High. Open Sunday April 17th 1-4pm! I have a ratified contract for my house purchase… NOW What? I just ratified a contract… NOW What? 1. Time is of the essence – which means if we have a deadline for home inspection and we missed it – you just gave up your right to ask for repairs. Pay attention to all dates! a) Home inspection contingency. In order to cancel the contract you will need a home inspection report, but it can be as clean as a whistle – like not a thing wrong with the property. If you don’t have a home inspection report you can’t cancel the contract. b) Condominium or Home Owners Association’s (HOA) Document Review. If your home is a part of a condo or an HOA – you will have 3 days to review those documents and cancel the contract- even if you are perfectly OK with all the rules. Let’s get back to the ratified contract. What is going to happen next? Once home inspection is completed we will collect and send to seller a list of repairs that we would like the sellers to complete before settlement. We will also have an option to ask for credit if you prefer to take care of things yourself. 2. Pick your lender and make an official loan application as soon as you can. The contract allows you 7 days to make this application, but if you take too much time and can’t make the settlement date – you will be in default and will risk loosing your Earnest Money Deposit. My #1 recommended lender is Marc Aymard with First Home Mortgage. Phone (703)728-1759, maymard@firsthome.com, https://maymard.gofirsthome.com/ Once you make your final decision – please let me know so I can send a contract to the lender of your choice. Be prepared to provide all kinds of financial information – loan processing has gotten a lot stricter in the last few years and they ask you for the oddest things! Please deliver all required documents in a timely manner as lenders have time sensitive requirements by law. Your lender will order an appraisal and issue a loan commitment letter once your file is processed. We should expect the seller’s agent to ask for appraisal and financing contingency removal once we are passed the deadlines for those contingencies. Unlike home inspection contingency – these deadlines do not expire and continue until removed. The seller does have a right to give us a 3 day notice to remove these contingencies and we don’t – the contract becomes void. If the appraisal comes in at a lower value that the sales price – we will negotiate with the seller to lower the price. If it comes in at sales price or higher – we will remove appraisal contingency. 4. Please call your home owner’s insurance company and get a quote within 7 days of ratification (condos will need a quote for an HO6 policy). Some homes have had too many quotes and have become uninsurable – so please call and make sure there is nothing strange happening with the property. 5. I will send a copy of the contract to the Title Company of your choice – usually we’ve chosen it in the contract. They will send you a welcome letter, explain their process, provide helpful information regarding your closing. A title company will also order a title search and a property survey if you’d like or need one. They also prepare closing documents such a Closing Disclosure to show your closing fees, taxes, information on your loan, etc. Please check your calendar and let me know if you have preferred time for the settlement on that day. Settlements usually take an hour, but they happen during the regular working hours – so potentially you will have to take time off work. 6. If termite inspection is needed – I usually order it with PestNow within 30 days of closing. Buyers usually do not participate in this inspection, but you are welcome to come. The cost of the inspection is $35 and it is paid at settlement – it goes right on your Closing Disclosure – so no separate check is needed. Should there be any termites or damage found – sellers are responsible to correct the issue before the settlementent. 7. If you are purchasing a property that is a part of the Condominium or a Home Owners Association – you will receive condo/HOA documents electronically or via mail. Once those documents are received – we will check if everything is included and then sign a receipt. Once we have a complete package – you will have 3 days to review the documents, ask questions and cancel the contract if you find something of concern. 8. If home warranty is not included you have an option purchase this insurance to cover any unforeseen expenses poi might incur once you take possession of the home. The cost for 1 year ranges from $400-$500 with $100 deductible. If you are interested – just let me know and I can provide you with more information. 9. Utilities – you will call utility companies (Gas, Electric, Water, Cable) a few business days before settlement to transfer them to your name as of the day of closing. Don’t wait till the settlement date – as you might have to re-connect the service and that will cost you extra. We will send you a list of utility providers 2 weeks before closing. 10. Final walkthrough – we will be doing a final walkthrough of the property before closing. During the walkthrough we will check if everything is in about the same condition as the date of the contract, we will also check the repairs that sellers completed. Sellers do send us receipts from various service companies as proofs of repairs before settlement. The house should be vacant for this walkthrough – to make sure there are no surprises behind furniture. 11. Finally – the end is near! On the settlement day we will sign all the loan and purchase documents and you will receive keys!!! You will need to bring your State issued ID, and money – a Certified check or wire money ahead of time. Your lender will let you know the final amount a couple of days before closing. You should also bring your checkbook – just in case some last minute changes. Usually, buyers, sellers, their agents and closing attorney attend closing. 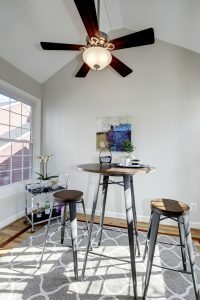 Sometimes “split” settlement happen and buyers and sellers sign at different times. 12. Power of Attorney and Alternate Presentation. It is preferable that you are present at settlement, but should you be unable to attend – you will need to appoint someone to attend in your place. This has to be arranged in advance with your lender and Title Co. This process is a bit like an airplane ride – some turbulence is possible, but hopefully at the end there is a smooth landing!